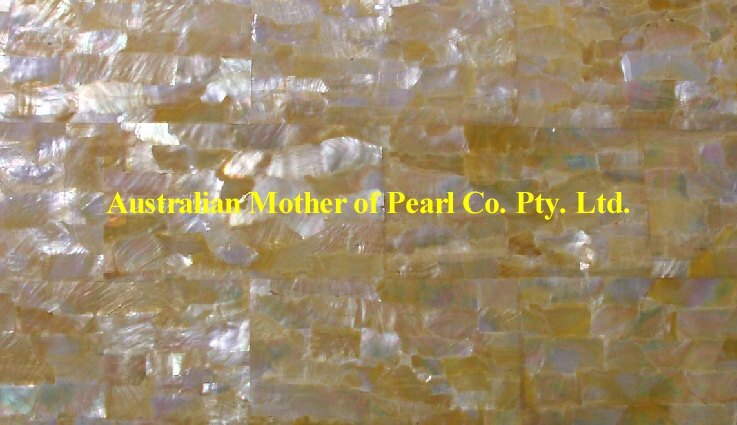 Mother of Pearl panels feature a layer of genuine Mother of Pearl fixed to a choice of substrates, determined by the nature of the project and final application. 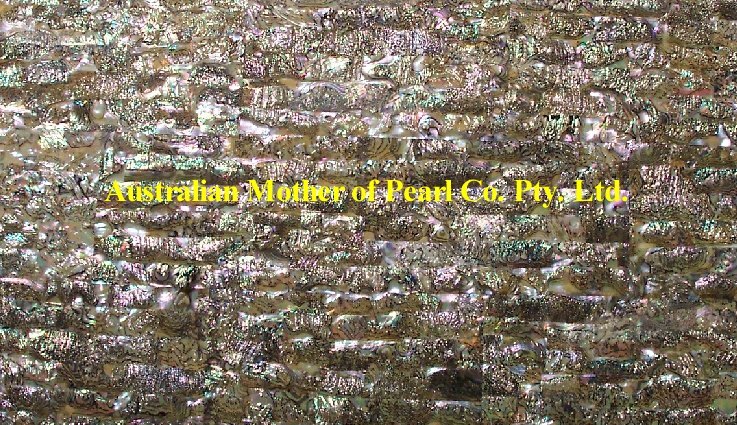 Main benefits include, large area that can be covered with single panel, easy installation, degree of flexibility. 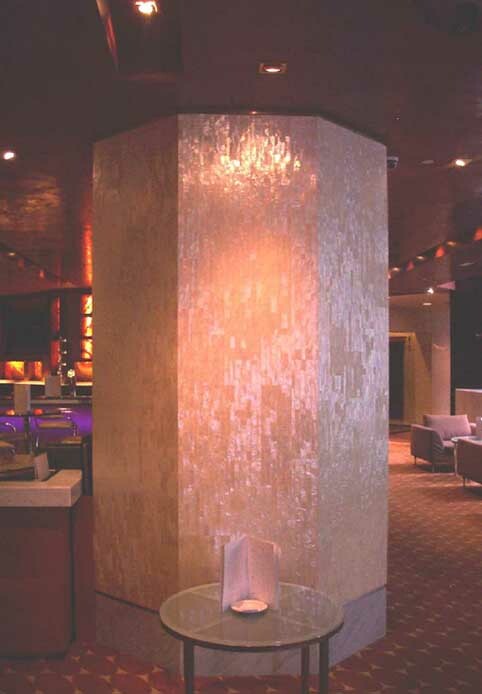 Used as wall panels, bench tops, furniture panels, shower corners, columns and more. 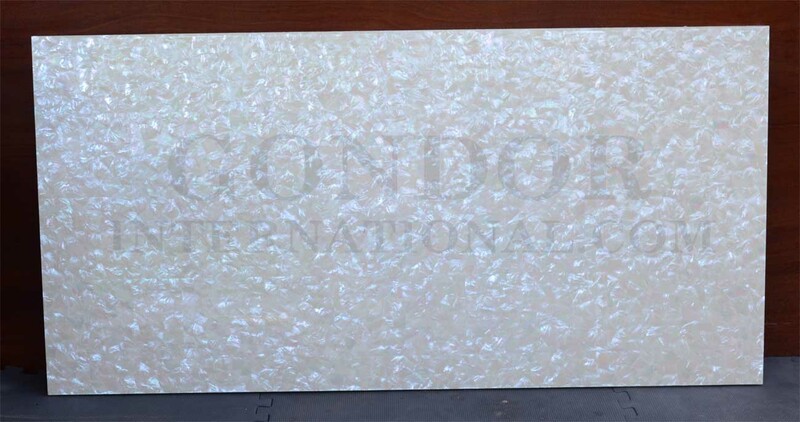 - Blue board thickness 6mm+ maximum single sheet size 3,200mm x 1,200mm (Water resistant). 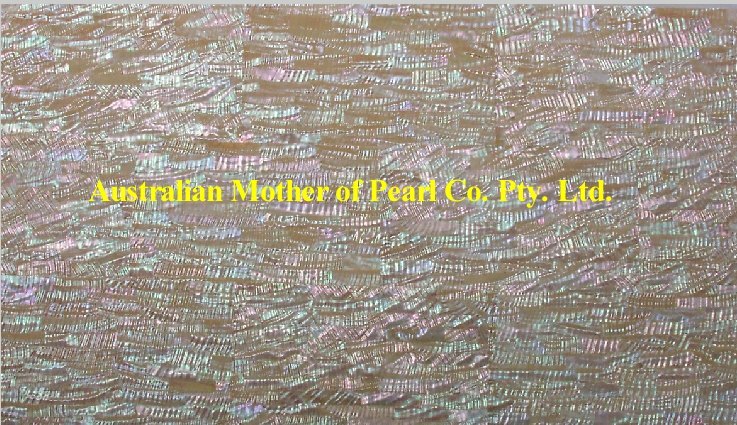 - Other substrates are available on request. 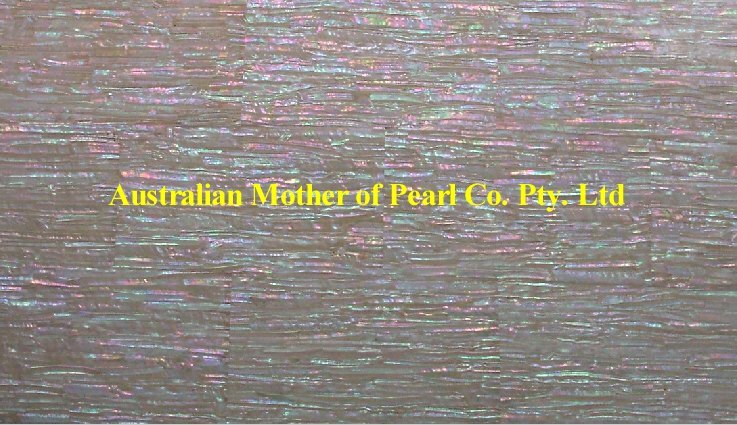 - UV stable aliphatic Polyurethane - excellent chemical, UV, heat and moisture resistance. 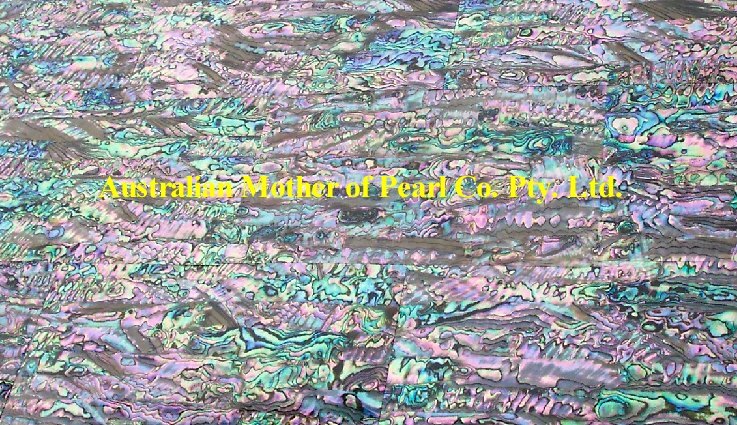 - Polymer resin - Water resistant, good chhemical, UV, heat resistance. 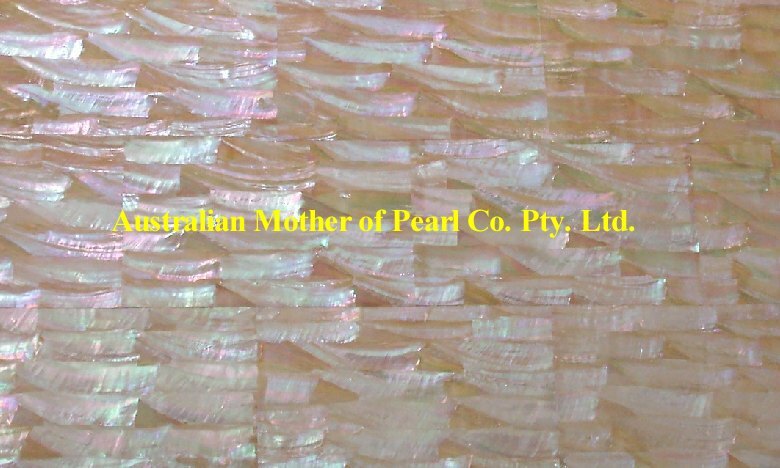 Mother of Pearl panel shell sections are made up of number of smaller shell pieces joined together to form continuous flow, however small joint lines will be visible to a varying degree depending on the type of shell selected. 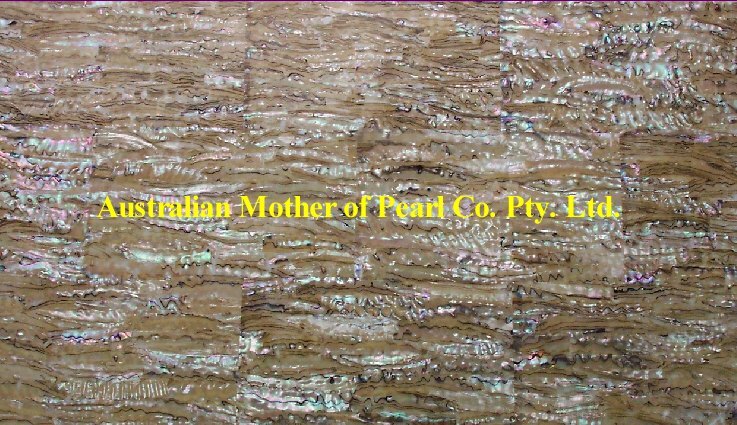 Workability - Panels can be further cut to size using conventional cutting methods - orbital saw, jig saw, band saw ensuring that blade is as sharp as possible. 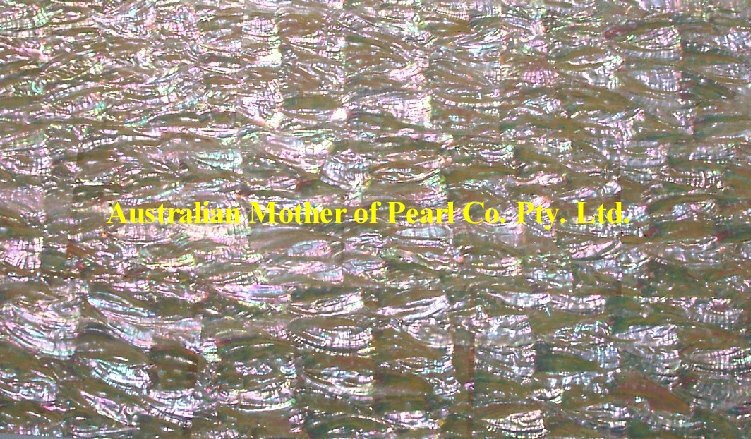 Some of the thinner substrate material gives small degree of bending flexibility, should you require bend pieces please contact us for information. 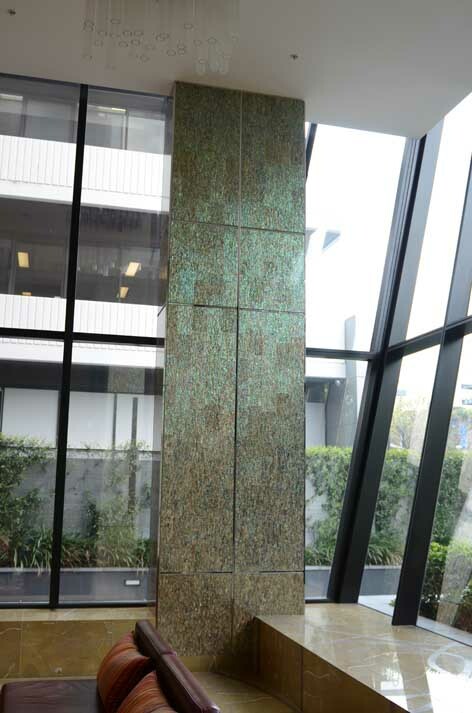 Installation - Panels can be installed by any conventional method - glued with architectural adhesive, or fixed to split batons. 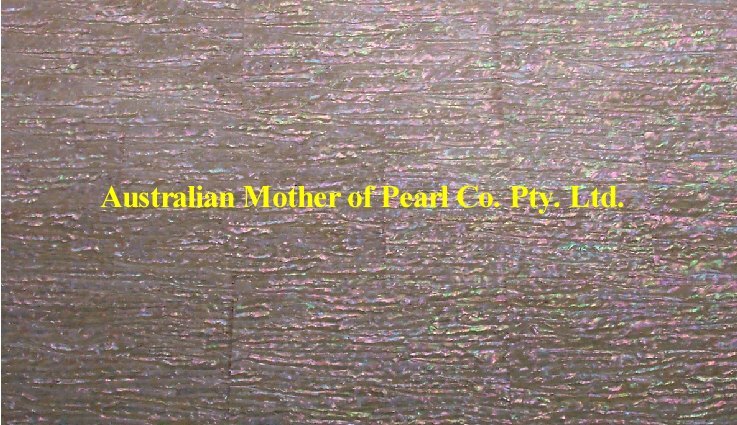 Specific project installation i.e. 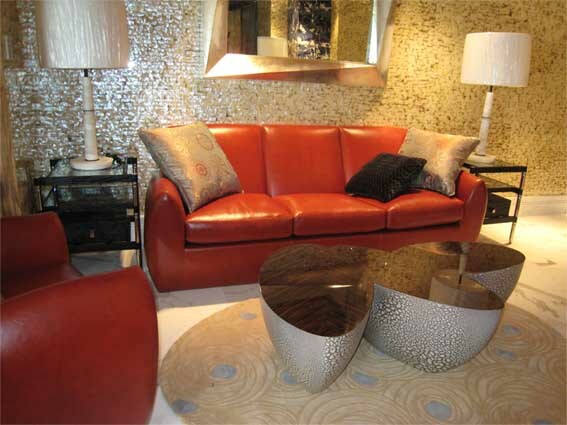 ; joining panels, corners, edges etc. 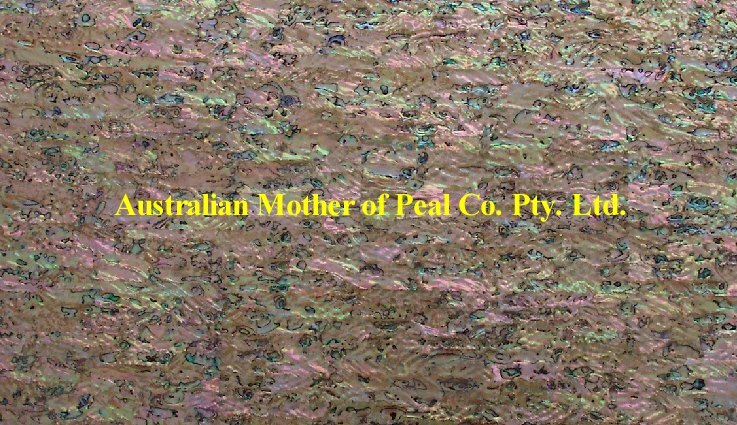 further instructions are provided. 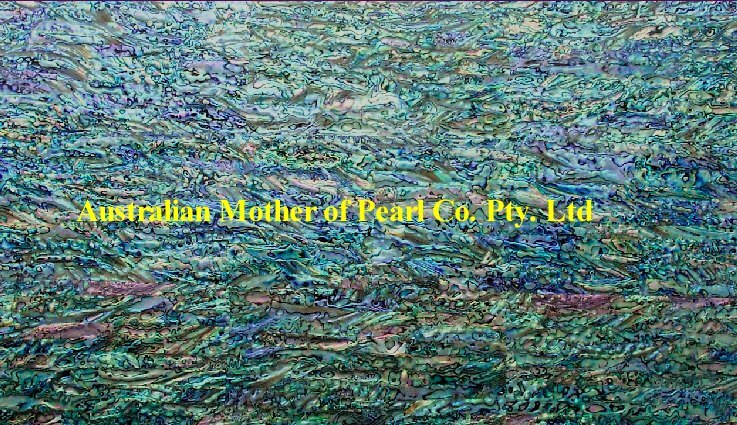 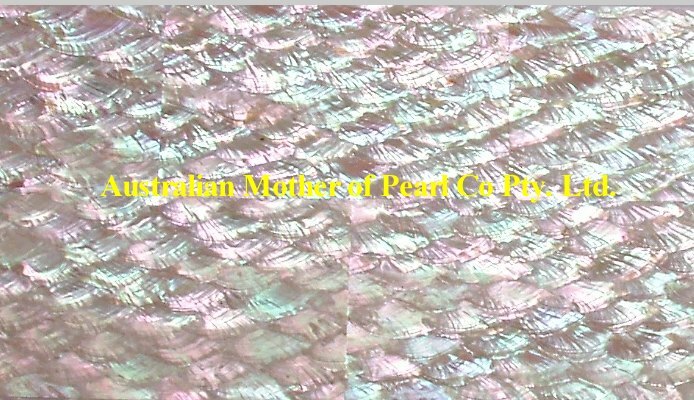 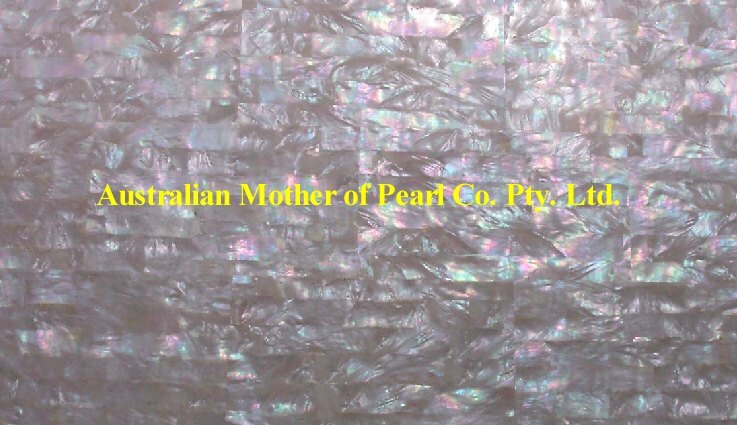 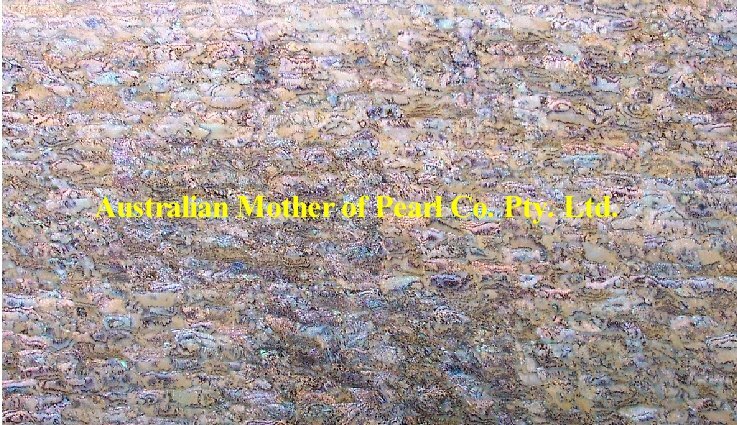 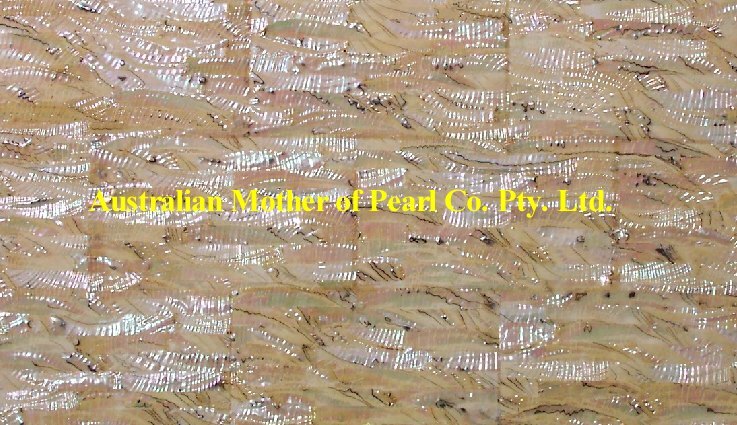 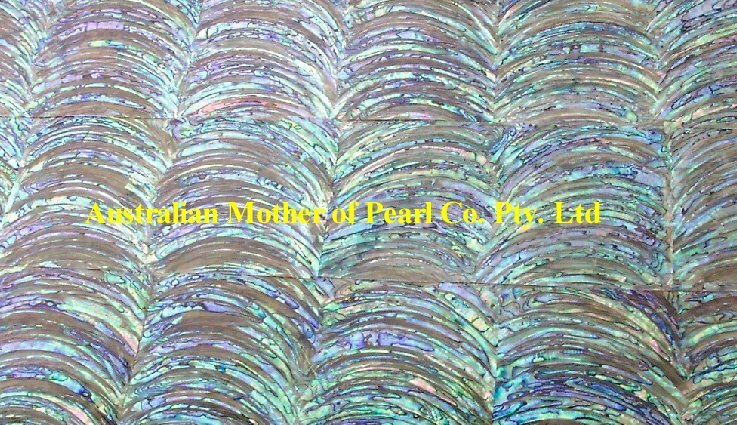 Copyright © 2003-2016 Australian Mother of Pearl Co. Pty Ltd All rights reserved.